If you’ve ever wondered how some of the most successful companies in the world are able to attract the best talent around and produce outstanding products year in and year out, Valve’s Handbook for New Employees is a great place to start educating yourself. 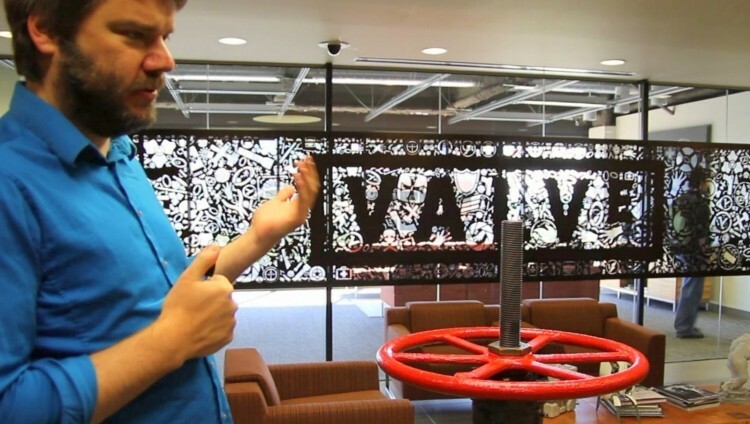 A PDF of the handbook was recently uploaded at Flamehaus (now also officially from Valve) that reveals just how different (and awesome) it is to work at Valve. Office perks are reminiscent of those found at Google which include a laundry service, gym, massage room and a game room, just to name a few. You can check out the entire handbook for more details by clicking here.